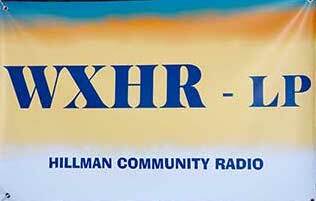 WXHR is a Low Power FM radio station servicing the Hillman, Michigan community as a noncommercial broadcaster. Hillman is a rural town in Northern Michigan with a population less than 750 people. Three of the state’s five oldest counties are in the area. WXHR understands their community is mostly a population comprised of baby boomers and attempts to service this demographic strategically with its programming. Dave Post, the business manager, and the executive board have created a format focusing primarily on music and sports to provide the community with. Their main concentration is a classic hits format containing music mostly from the mid-60s through the late-80s. 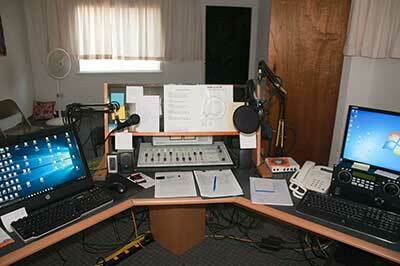 In 2013, the FCC opened a window for companies to apply for their Low Power FM Radio License. Post handled a great deal of paperwork alongside others to start a non-profit organization. Known as a singleton, the company did not have much competition to get an airwave in the rural Hillman area. After receiving their 501(c)(3), WXHR raised enough funds to broadcast their first programs in January of 2016. Five of the members on the executive board have been involved since its inception. The vice-president, Bob Tulgetske, was one of the original members who brought WXHR to life. Tulgetske began a career in radio in the 60s and used his experience to help the station understand laws as well as producing underwriting, station IDs and a show. Hillman Community Junior/Senior High School is an important aspect in the community. Over the course of the school year, WXHR broadcasts all home games (and some away games) for their high school’s football, basketball and baseball teams. Covering sports and games is a focal point for WXHR because the community supports its coverage. The station receives the majority of its sponsorship from sports coverage. WXHR provides a colorful array of classic music ranging from classic country and rockabilly to bluegrass and Doo Wop. Saturday mornings focus on country music while Sunday mornings are dedicated to religious shows. One of the station’s popular shows is If It Ain’t Country: a 3-hour program on Saturdays of classic country music featuring an artist. Post emphasized his appreciation for the Pacifica Network: “Pacifica offers high-quality programming to be used at our broadcasting station to go on-air.” WXHR broadcasts five shows through Pacifica Network. This entry was posted in Affiliate News, New Affiliate, News, Pacifica News by Sequan Gatlin. Bookmark the permalink.